Copic marker 9x12 I did this drawing of a Maiko girl after the Tsunami in Japan. All the prints I sold, money was donated (still is) to the Red Cross. 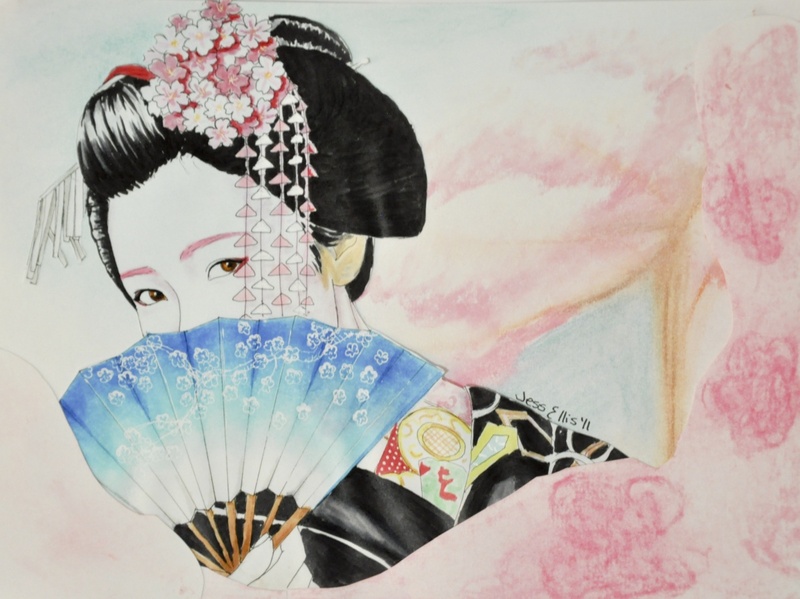 I would love to do another drawing of a Maiko as they are so artistically beautiful with their array of colours.